VMware backup solutions are quite useful for automating the process of backup VMware virtual machine. 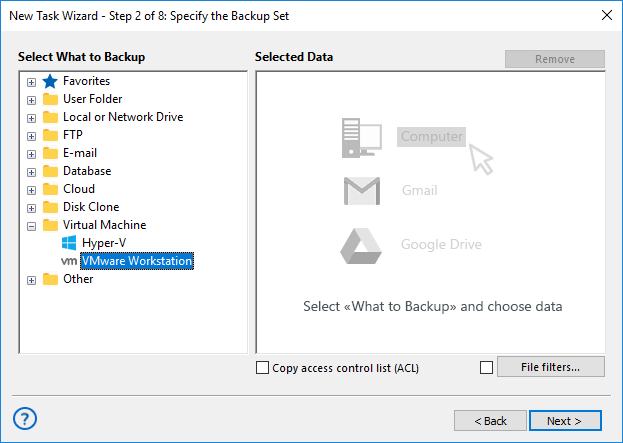 Handy Backup provides the powerful and flexible instrument of VMware workstation backup, which can be performed by two different ways, along with other data type backup if needed. As the VMware backup solution, Handy Backup can perform internal and external backups. 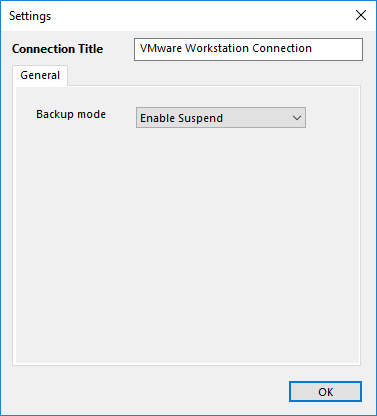 You can install Handy Backup under OS Windows (or under some Linux distro, for Network Agents in network-oriented editions) on the particular VMware virtual machine. Using it is by no means different from the typical using of Handy Backup on “real”, non-virtual computers. Running Handy Backup on VMware server, you can take a VMware snapshot backup as a logical file. 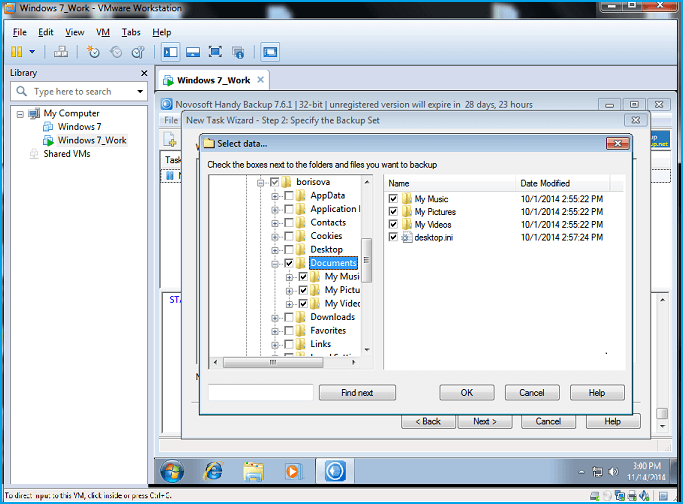 Handy Backup contains a dedicated plug-in to snapshot VMware machines and entire arrays. It can work in a “hot” mode, requiring no stopping a machine backed up. Utilizing a VMware snapshot backup strategy is not much different from backing up any other data. The principal difference is in using pre- and post-action for the backup task, to stop and then start the corresponding VMware virtual machine. Backup VMware workstation by implementing the following list of steps. Open Handy Backup and select a new task by pressing Ctrl+N or by selecting a “New task” item. Choose a backup task. 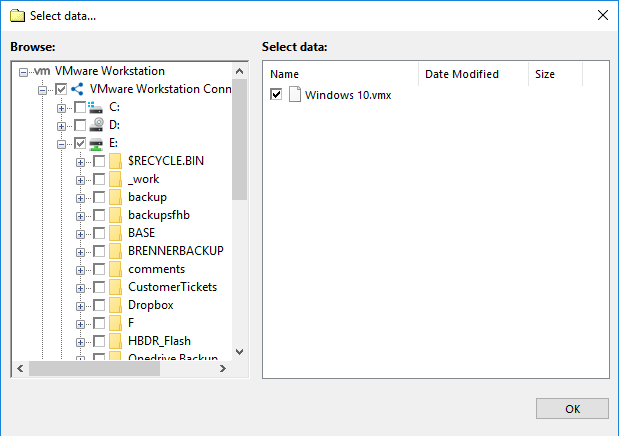 On the Step 2, select the “VMware Workstation” data source. Double-click on a “New configuration” option to set up a particular VMware snapshot. In a dialog window appearing, select either a “Hot” mode (without stopping a virtual machine) or an “Enable suspend” mode (with stopping a VM to take a perfect backup). Then select a particular machine to back up with this configuration. A backup solution for VMware machines provides either internal (from inside of a virtual machine) or external (from outside of a VM or an entire VMware array) VMware backup methods. Small Server solution is a perfect backup software for VMware servers and single virtual machines, with all the functions for backing up VMware data! 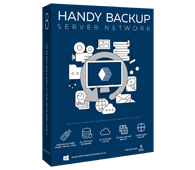 Handy Backup Server Network allows you to backup VMware machine from inside or externally, as well as save entire VMware nodes remotely! Handy Backup provides the effective and simple-to-use instrument for VMware workstation backup when you need it. Download our VMware backup software now to try all the capabilities for a 30-days free trial!